The Stimpod NMS410 is designed for precision nerve location for regional anaesthesia procedures. 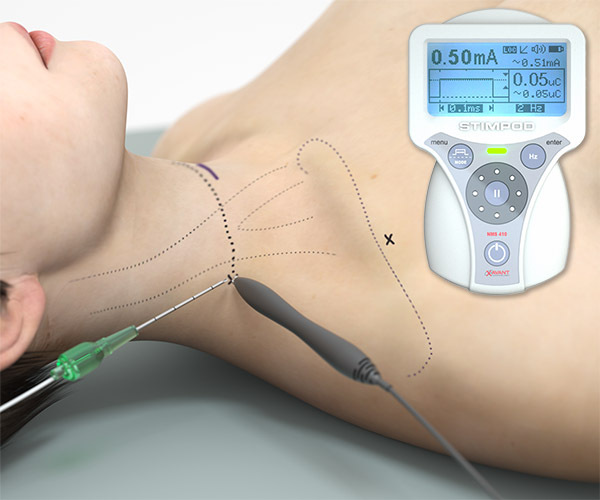 It provides a cost-effective and accurate alternative to ultrasound-assisted techniques. The unique nerve mapping probe allows you to map nerves transcutaneously, before needle insertion, improving the accuracy of needle placements while shorting the procedure duration. 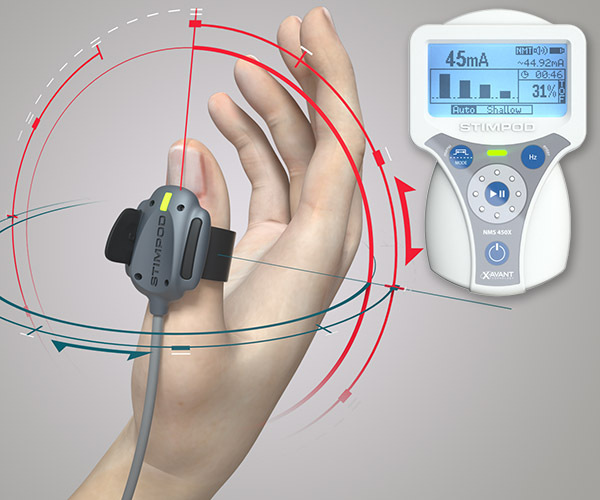 The Stimpod NMS450X Peripheral Nerve Stimulator is a quantitative Neuromuscular Blocking Agent monitor. The included tri-axial accelerometer allows the monitor to provide accurate and real-time feedback of train of four ratios and post-tetanic counts throughout the entire procedure. It can also be used for precision nerve location and close needle placements in regional anaesthesia procedures. The Stimpod NMS460 is a neuromodulation device used for the symptomatic relief of chronic intractable pain. 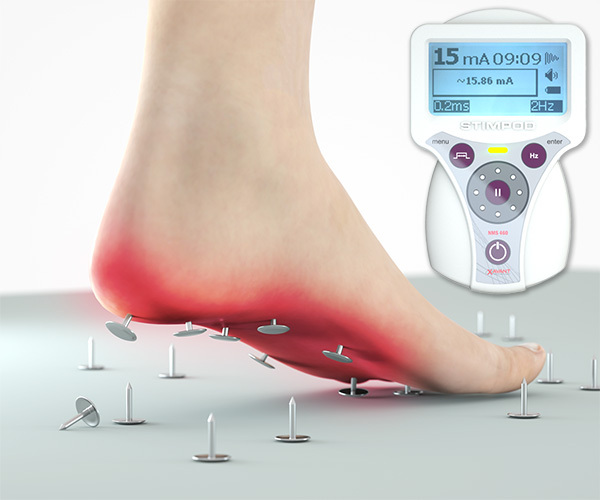 It is widely used for the effective treatment of neuropathy and other motor or sensory nerve conditions by stimulating affected nerves with a patented Pulsed Radio Frequency waveform. Xavant Technology is a knowledge-based company with core competencies in Neuromuscular Stimulation, Neuromodulation and Accelerometry. We’ve gained our competitive advantage by introducing disruptive technologies to high-growth niche markets with high entry barriers and little rivalry.